Never been a better time to upgrade to an Solid State Drive.(SSD). After the vote prices of components soared... whats going to happen now ? SSD prices are lower than they have ever been. The best way to make your computer feel like new. Your computer takes a long time to boot up, that's likely because it runs on a regular hard drive. Good news its easy for us to do and no loss of data you see no change whatsoever apart from the speed of the computer, and not too expensive either, thanks to the fact that SSDs are now much more affordable. There are no moving parts to an SSD, information is stored in microchips. A traditional spinning hard drive is essentially mechanical a metal platter with a magnetic coating that stores your data the arm with a read/write head to move around and read information from metal storage disk. This difference is what makes SSD so much faster. 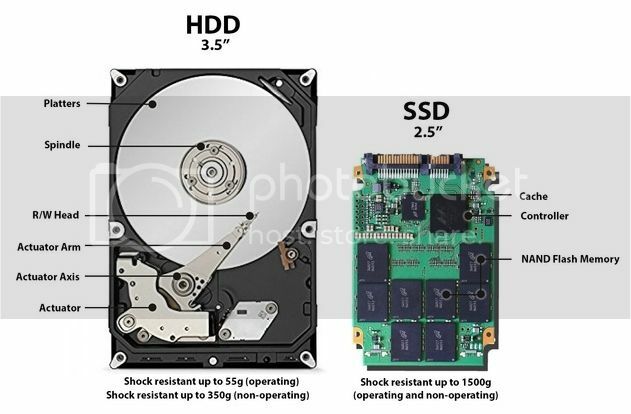 An SSD does functionally everything a hard drive does uses the same SATA connections, data is stored on interconnected flash memory chips that retain the data. and are typically faster and more reliable, smaller and lighter. They can also be installed in a PCIe expansion slot or even be mounted directly on the motherboard, a configuration that's now common in high-end machines as they are even faster than SATA connection. 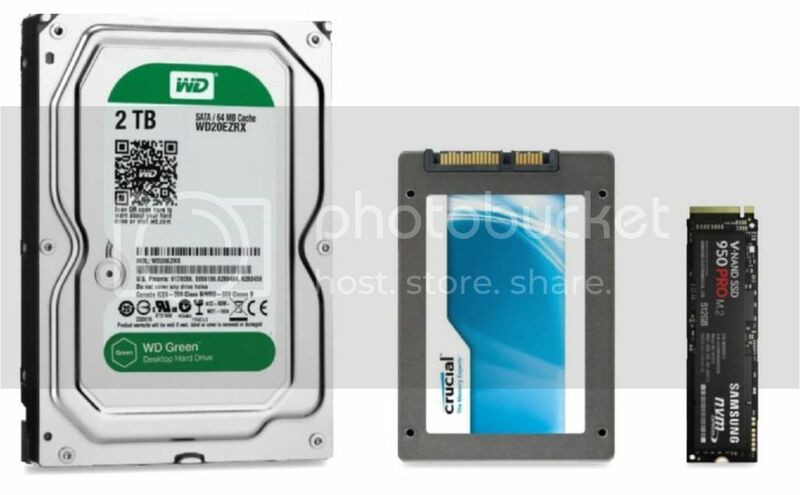 M.2 SSD that uses the PCIe bus ( motherboard connection ) will be significantly better than a SATA drive, and light years ahead of a conventional spinning drive. SATA SSD is up to 10 times faster than mechanical hard drives and the M.2 solid-state drive connected to the motherboard or via PCIe expansion slot is up to an added 3 times faster. How about £1220.00 Brand new boxed with added Microsoft Office Professional 2016. Very best component build. Absolutely the last one. The sun-soaked bank holiday weekend surely marks the end of the flu and cold season, but its always virus season where computers are concerned. If your PC has been taking longer to start up, feels slower generally or the disk access light flashes constantly, there's a chance you may have a virus or malware infection. Another tell-tale sign is frequent pop-up messages or ads, which suggest your PC may be plagued with adware or spyware. Don't click on these pop-ups and be careful when closing them as some display mock 'close' buttons. This sort of adware/spyware ranges from frustrating but fairly innocuous, to attempts to deceive you to reveal personal information such as bank account details and passwords. I think my PC is infected, now what? 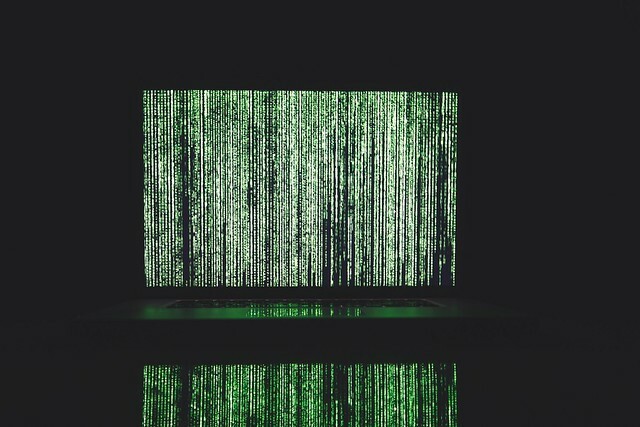 There are a plethora of legitimate applications designed to rid your PC of infections and keep it clear, but there is also software designed to look legitimate that is actually a form of malware itself. Alternatively you could get in touch with PC Repair Pendle and we will do a comprehensive audit of your PC, starting at £20. If we find active virus or malware infections we will remove them and protect you from future infection. If your PC is clear of viruses and malware there are other potential issues that may cause performance issues, such as disk fragmentation, lack of disk space, memory allocation issues or driver conflict, all of which we would resolve by carrying out a PC Cleanup service. If you're unsure about how to proceed just get in touch, we're happy to offer advice for free and won't encourage you to spend money with us when it isn't necessary. So you spilled liquid on your MacBook? Water damaged laptops sit just below screen replacements in the league table of problems we see most often. Electricity and liquid don't mix! This seems like a no-brainer: turn your laptop off and leave it turned off. 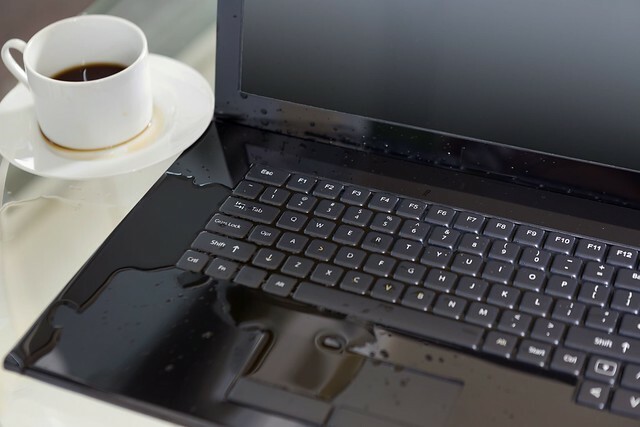 Sadly we often see water damaged laptops that have been turned back on following the spill, long before it's safe to do so. Putting power through a freshly bathed laptop dramatically increases the chance that you will do serious damage to components. The inside of laptops are somewhat sealed from the environment, so if you turn your MacBook upside down gravity will encourage the liquid to move away from components and lessen the risk of lasting damage. Remove the battery and any other attached peripherals. If you know your way around laptop hardware you may also be comfortable removing any hard disk drives and memory, carefully drying those components if necessary. Now position your laptop on its side with the lid open, leaving it for several hours to ensure any liquid inside the case has worked its way out. There are people who swear by rice as a means of absorbing residual moisture inside drowned phones and laptops, but many tests have suggested placing your laptop in a sealed container with silica gel or cat litter are better options (if available). It's at this point that we recommend you get in touch with us. Drop your laptop off at our workshop where we can disassemble it and use a stereo microscope to examine the components for evidence of moisture. We will then remove any residual moisture or corrosion using an ultrasonic cleaner, swapping any irreparably damaged hardware with high-quality replacements. If components don't need replacing and depending on the volume of liquid involved, this could cost as little as £45. A small price to pay when the alternative is a £1000+ fee from the Apple Store! Following on from our post last week about the common TalkTalk scam calls that many people are receiving, a brief post today about a similar scam where callers are claiming to be representatives of BT Internet/Broadband or other ISPs. In some cases the callers will have in-depth account information and may call you regarding a problem you reported with your broadband connection. This is worrying because it suggests that account details are being shared with scammers by BT employees. More commonly the caller has very little information and indeed may claim that you have a BT Internet account when in fact you have an account with a different ISP. 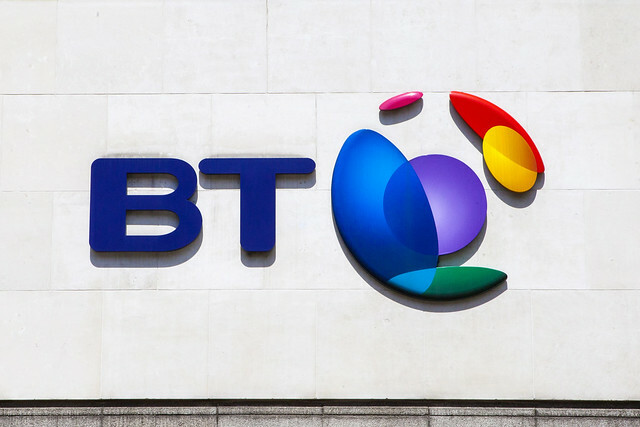 If you encounter the latter scenario you may clarify with the caller that you don't have a BT Internet account, at which point they're likely to tell you that because you have a BT phone line they're still responsible for your connection to the internet. This isn't the case - just end the call at this point as the caller is certainly attempting to defraud. The most common scare tactic they employ is to tell people they have multiple unauthorised devices using their internet connections. And as before, if in doubt, give us a call - we're more than happy to offer advice over the phone if it means less people fall victim to these kinds of scams. If you have concerns that you may have malware installed on your PC or Apple Mac, get in touch with us as soon as possible. There's a good chance we'd be able to remove it before any damage is done. You can either bring your hardware to our workshop in Trawden, near Colne, or we can visit you and resolve the issue during an on-site visit. We also offer a collect and return service, free if you live in the local area.